Jessica couldn’t be more thrilled to be doing community-style acupuncture! After running her own private clinic for 3 years, Jessica had the opportunity to open a Community-style acupuncture clinic. Jessica jumped on that opportunity because she knows the group healing energy and the affordability of this model is how she wanted to practice Traditional Chinese Medicine. Every day at Meeting Point Community Acupuncture Clinic, Jessica is thankful to be treating so many people with a wide variety of health issues who might not have been able to afford acupuncture otherwise. 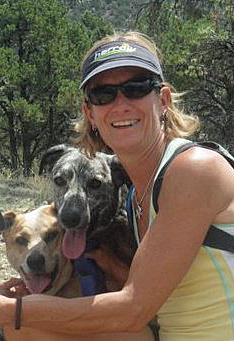 When not working at the clinic, Jessica might be running, mountain biking, telemark skiing, taking her pups for a walk or run or possibly looking for the next adventure. Jessica has a Master of Science degree in Traditional Chinese Medicine. She studied at Colorado School of Traditional Chinese Medicine in Denver and the International School of Oriental Medicine in Beijing, China. 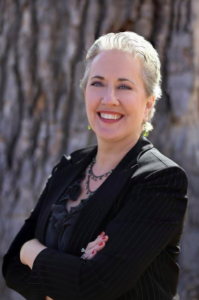 She is licensed in the state of Colorado and is nationally certified as a Diplomat in Acupuncture by the National Certification Commission for Acupuncture and Oriental Medicine (NCCAOM). Jamie has wanted to offer community style acupuncture ever since he first learned about affordable acupuncture, back in his college years. He is inspired to offer natural healthcare that everyone can afford, and has no interest in limiting this wonderful modality because of income. 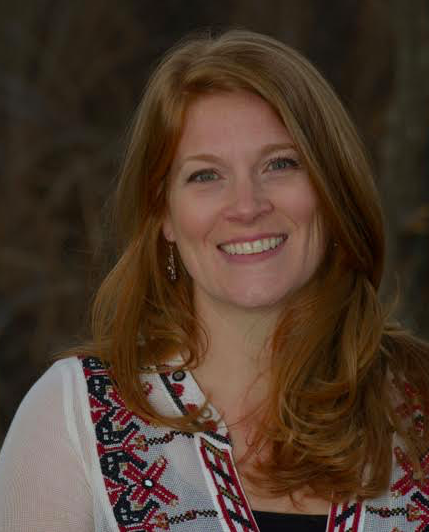 Jamie has completed over 3,000 hours of didactic and clinical work during a 4 year Masters in Acupuncture & Oriental Medicine program at AOMA Graduate School of Integrative Medicine. 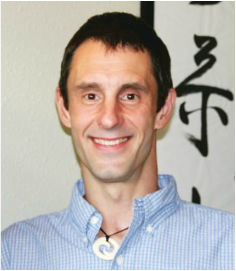 He is a Licensed Acupuncturist and Certified Chinese Herbalist by the state of Colorado, and is nationally board certified as a Diplomate in Oriental Medicine by the National Certification Commission for Acupuncture & Oriental Medicine. Additionally, Jamie completed a 6 month Japanese Traditional Acupuncture Certification with Japanese Master Acupuncturist Koei Kuwahara and has completed over 500 hours of Asian bodywork therapy (Tuina) becoming a Certified Practitioner by the American Organization of Bodywork Therapies of Asia. He has also trained extensively in functional medicine and nutrition and is an Applied Clinical Nutritionist through the Texas Chiropractic College. Outside of the clinic, Jamie loves to spend time with his family (wife, Kate and 2 dogs, Luna and Zoey) hiking, skiing, reading and enjoying a meditation class at Kadampa Meditation Center. Rob is a Licensed Acupuncturist in the state of Colorado, and graduated from the Colorado School of Traditional Chinese Medicine in Denver with a Diploma in Traditional Chinese Medicine in 2000, and then continued his studies at the Pacific College of Oriental Medicine in New York, earning a Masters of Science in Acupuncture in 2011. He first learned about the Community Acupuncture movement and joined the Community Acupuncture Network while at the Pacific College of Oriental Medicine. Rob is very happy to be practicing at Meeting Point Community Acupuncture. When not at the clinic or reading about acupuncture, Rob loves snowboarding, bluegrass, and hiking in the mountains. 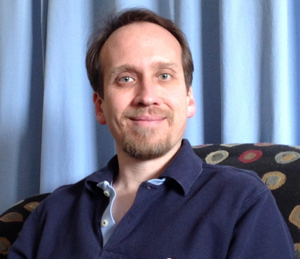 Nate graduated from Jung Tao School of Classical Chinese Medicine in Sugar Grove, NC with a diploma of Classical Chinese Medicine in 2013. He focuses on treating the core of each patient’s condition, while using a minimal number of acupuncture needles to achieve positive results. 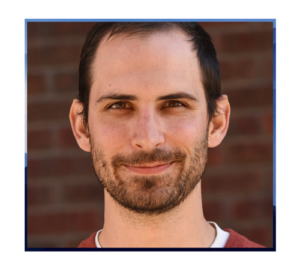 Nate is a licensed acupuncturist in the state of Colorado and is certified as a Diplomate of Acupuncture by the National Certification Commission for Acupuncture and Oriental Medicine (NCCAOM). 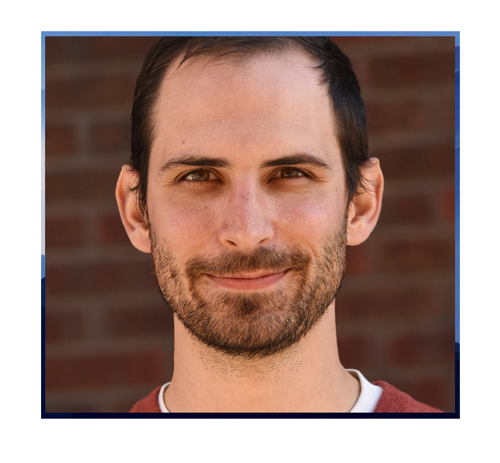 After spending a few years in private practice, Nate was looking to find a way to make acupuncture more accessible and affordable to a greater number of people, and is excited to now be working at Meeting Point Community Acupuncture. Nate enjoys the challenge of working with patients with whatever ailments they bring in the door. He is excited to help people live healthier, stronger, more satisfying lives in the Front Range community of Colorado. Dr. Reed started her study of nutrition and holistic health as a young woman. She started her first job in a health food store and began as a chiropractic patient the same year, 1977. Since age 15, she has had a huge interest in health and wellness. 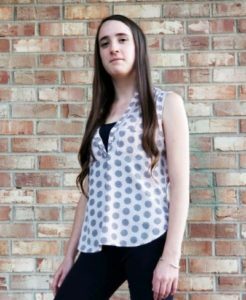 She received her Certified Massage Therapist certificate at age 19. In the following years, she worked many professions including Montessori Pre- School Education and restaurant management. She attended Life West Chiropractic College in Hayward, CA and graduated in 1996. That was a big year for her as she also had her son in 1996 and graduated from her college with a brand new baby boy, Aidan John Reed. Her son has now graduated from San Jose State College, California, and is presently working for Tesla Motors. Dr. Reed established Family Chiropractic Wellness Center in Stockton, CA, her home town and practiced there for 19 years. 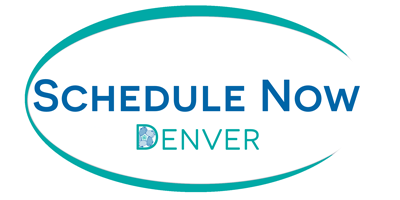 She sold her practice in 2015 and relocated to Denver, Co. She is thrilled with her new home town and is looking forward to helping many of the patients at Pin and Tonic Community Acupuncture Clinic. Her expertise in gentle chiropractic care, known as Network Spinal Analysis, helps patients of all ages – newborn, toddler, adolescent and adults of ages. Pregnant woman also benefit from chiropractic care. Dr. Reed combines her knowledge of massage therapy, herbology, nutrition and aromatherapy into a diverse method of healing help for her patients. She is offering chiropractic services, massage therapy, aromatherapy, nutritional testing at Meeting Point Community Acupuncture. Nicole Greco is a Reflexologist and Reiki Practitioner. Her educational career began at Ithaca College where she majored in Cultural Anthropology with a minor in Religious Studies. Following her time at Ithaca College, she became interested in alternative healing practices and received her Reiki certifications through Carolyn Musial of The International Center for Reiki Training in 2013. Nicole received her AAS in Holistic Health with a Holistic Health Practitioner Certificate from Red Rocks Community College. She is currently attending Denver Metropolitan State University where she is studying Integrative Health Care and Psychology. In the future, Nicole hopes to complete an MS in Mental Health Counseling and pursue a career as an integrative psychotherapist. Nicole understands that the key to all emotional and physical wellbeing can be found through relaxation and proper self-care. She specializes in emotional balancing, generally working well with patients who maintain PTSD, anxiety, depression, chronic stress, and emotional upheaval. After suffering from trauma correlated mental health issues for most of her life, Nicole turned to complimentary healing methods and was able to transform her health. Her life purpose is to help others overcome their hardships with the valuable tools she has learned on her own personal healing journey. Stacey Hughes, L.Ac. Dipl. O.M. 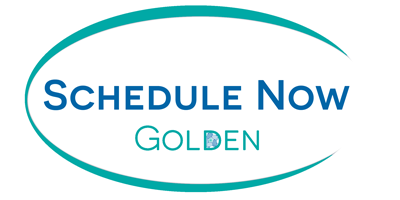 is a national board certified (NCCAOM) and Colorado Licensed Acupuncturist. She graduated from The Atlantic Institute of Oriental Medicine in Ft. Lauderdale, FL in 2011. Since then she has been working towards helping people address their specific healing needs, mind and body. Stacey is excited to be practicing in a community acupuncture clinic as it supports her belief that health care should be accessible to everyone. Her main goal is to provide a treatment plan and a caring environment that helps the patient move forward in all aspects of the healing process, so they can get well and stay well. When not in the pursuit of the healing arts, Stacey enjoys hiking, cooking and reading. It has also been noted that she is quite crafty, not in a diabolical sense, rather as a remark that she likes sewing and crochet.